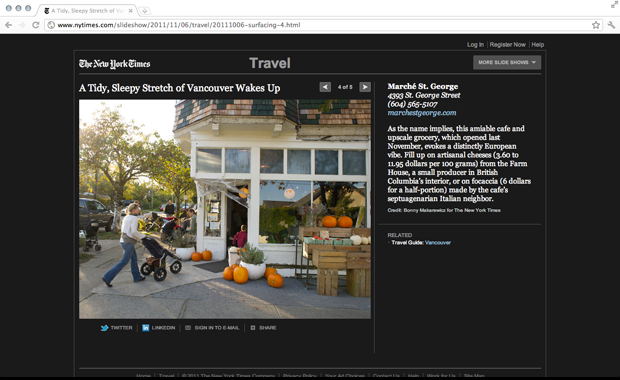 The whole team is absolutely honored about the Marché St. George mention in the New York Times's travel section. It is an incredible feeling to be recognized by a world renowned publication. We would like to extended a sincere thank you to NYT writer, Bonny Makarewicz, for including us in her article. If you haven't seen our feature, you can find it here. Congratulations! Nothing beats an article in the NY Times.